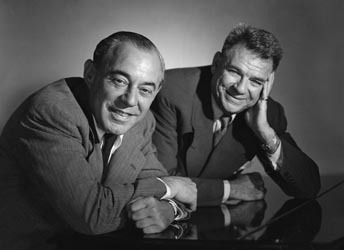 Rodgers & Hammerstein, a new biography by the veteran journalist and acclaimed author Todd S. Purdum, about the extraordinary eighteen-year partnership of musical theater legends Richard Rodgers and Oscar Hammerstein II, will be published by Henry Holt in the spring of 2018, the seventy-fifth anniversary of Oklahoma!, their first Broadway hit. The book will be edited by Paul Golob, executive editor at Holt. Though most renowned today for the stunning commercial success of The Sound of Music, their last (and in some ways least typical) show, Rodgers & Hammerstein in their day were better known as the greatest revolutionaries the Great White Way had ever seen. 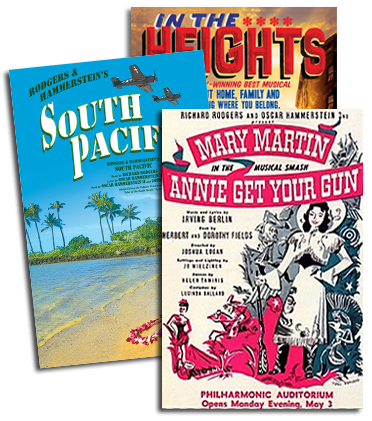 Their first joint effort, Oklahoma!, was, as The New York Times recently noted, “as radically innovative at the time of its premiere in 1943 as Fun Home or Hamilton is today.” In writing the book, Purdum, a longtime political and cultural reporter and an amateur musician, will have access to some material only recently available to scholars – including Hammerstein’s papers at the Library of Congress – and will have the cooperation of Rodgers & Hammerstein: An Imagem Company, the corporate entity that controls the worldwide performance rights to their works. Purdum, an award-winning journalist, is a contributing editor at Vanity Fair and senior writer at Politico. He previously spent more than twenty years at The New York Times, where he served as diplomatic correspondent, White House correspondent, and Los Angeles bureau chief. He is the author of A Time of Our Choosing: America’s War in Iraq, which was written in collaboration with the reportorial staff of The New York Times and was published by Times Books in 2003; and An Idea Whose Time Has Come: Two Presidents, Two Parties, and the Battle for the Civil Rights Act of 1964, published by Henry Holt in 2014.